Cruelty Free Cosmetics Are Healthier For You. Here's Why. Over the past 20 years, hundreds of cosmetics companies have voluntarily sworn off animal testing, and for good reason: animal testing is deeply unpopular among consumers. Images of restrained rabbits having chemicals dripped in their eyes and guinea pigs with chemical burns on their skin, have made it difficult for most consumers to reconcile such suffering for the pursuit of a new mascara or beauty cream. But by going cruelty free, companies are doing more than placating consumers and protecting bunnies: they are also doing good science and good business. Alternative methods are tests that use tissues and cells from humans (so-called "in vitro tests"), and sophisticated computer models or chemical methods (so called "in silico" and "in chemico tests"). Such tests are usually cheaper, faster and more predictive for humans than the now antiquated animal tests that were first developed over 70 years ago when product testing was in its infancy. 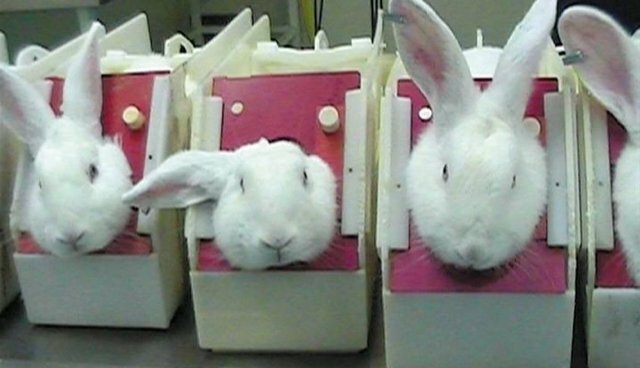 Modern alternatives are also required to undergo "validation" - a process to scientifically demonstrate that they are as or more "effective" than the animal tests they replace. In contrast, animal tests have never been "validated" for their use in reliably predicting human responses. The validity of animal tests is assumed based on length of use, rather than their ability to correctly screen for cosmetic safety. In other words, animal tests have effectively been granted tenure simply because they've been around so long, not because they do a good job. Today the in vitro test for skin and eye irritation can be conducted in a day, whereas the corresponding rabbit tests take two to three weeks and contract testing facilities charge approximately the same for conducting the alternative as they do the rabbit test. Alternative tests for predicting allergic skin reactions (called skin sensitization) are also now available. One such test can be conducted in one day while the corresponding mouse test takes at least six times that. Speed isn't the only consideration. Even one of the more "modern" animal tests only correctly predicts human reactions 72 percent of the time, while the non-animal test known as the CAESAR is credited with correctly predicting reactions 90 percent of the time. Another frequently used animal test is the "repeated dose" test. In this test, animals are force-fed, forced to inhale or have a substance rubbed into their shaved skin every day for 28 or 90 days before being killed. Aside from being gruesome and costly, the ability to correctly predict human reactions (to drugs) using this test are only about 40 to 60 percent predictive. If we were talking about college test scores this animal test would be earning a solid D.
The key question that repeated dose studies aim to answer is: at what dose does a substance start being toxic (harmful)? Thankfully, this question can often be answered by reversing the question and asking instead whether the doses that humans are exposed to come even close to the doses at which worse-case toxic chemicals exert their effects. This is the threshold of toxicological concern (TTC) which may all sound Greek to you and me, but to scientists it is a well-understood principal. In fact, the TTC method was first used for food additives and research in the cosmetics industry has shown it to be useful for cosmetics at a fraction of the time and cost of animal studies. The economic incentive to go cruelty free has never been stronger. Non-animal safety tests are now the only acceptable tests for cosmetics in the European Union, which accounts for nearly half of the global cosmetics market. As other countries begin to follow suit, cruelty free companies have a considerable leg up. Today, cruelty free companies are getting it right and have the ethical, scientific, and competitive advantage in the modern global market place in which consumers as well as regulators increasingly demand non-animal safety tests. Are you getting cruelty free right? Multiple polls reveal that the public cares deeply about this issue and wants cruelty free cosmetics. It is an unfortunate fact that an individual's values do not always correlate with his or her actions - this is sometimes called a "value-action gap." Make sure you are taking action that supports your cruelty free values. The way you spend money communicates your beliefs, values, and interests. One way you can get cruelty free right is by supporting companies that are Leaping Bunny certified - the only globally recognized guarantee that a brand has made a genuine commitment to ending animal testing for its products visit GoCrueltyFree.org. Communicating your values with your elected officials helps shape their position on an issue. 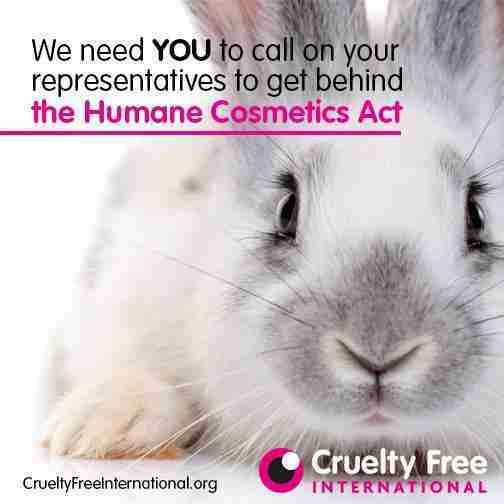 You can help end animal testing for cosmetics in the US by letting your US Representative know that it is important to you and by asking him/her to become a co-sponsor of HR 2858 [The Humane Cosmetics Act]. It takes just five minutes to email or call your Representative. Cruelty Free International has made it easy: Vist the US action page.